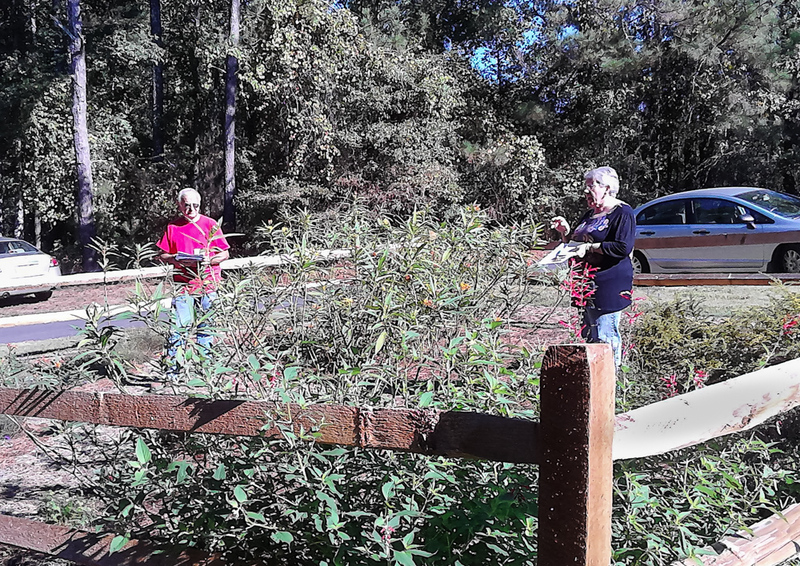 In October, GCMGA members and Master Gardeners Shirley Bohm and Jeff Hicks led an educational walk and talk for the public at Vines new butterfly garden. Visitors learned about the life cycle of the butterfly, various host and nectar plants they like, and how to create your own butterfly garden. The masters gardeners broke ground for the project in January and it is wonderful to see the established plants along with caterpillar larvae and various butterflies! Jeff and Shirley talk about the different plants in the garden.